The Australian Financial Review report today that the Abbott government is considering “axing” the Renewable Energy Target—Australia’s flagship renewable energy policy. Reports that the Abbott government is contemplating taking the axe to the Renewable Energy Target further demonstrates how out of touch it is with the views of Australians. Last week it was Treasurer Joe Hockey telling us poor people don’t drive. 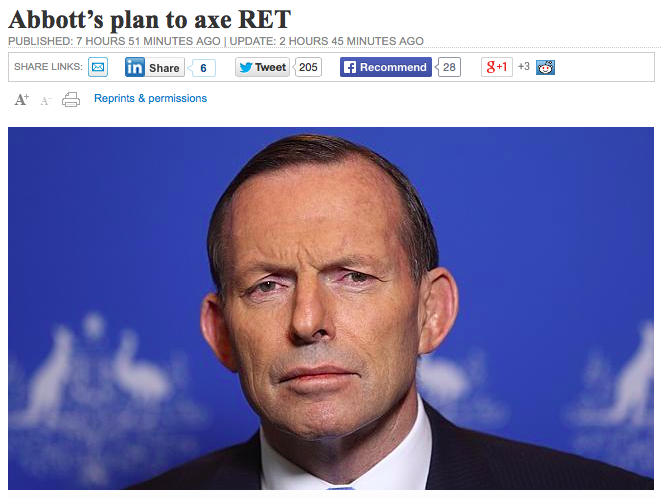 This week, the Abbott government are saying they want to kill the renewable energy sector. Just how out of step is the Abbott government? Well, according to public polling, 73 per cent of Australians think the Renewable Energy Target target is ‘about right’ or ‘not high enough.’ Even support amongst Coalition voters is strong at 64 per cent. The RET mandates 41-terawatt-hours of renewable energy generation by 2020. It has built an $18 billion industry, created 30,000 jobs, and is driving national efforts to tackle global warming. Any step to axe or reduce the Renewable Energy Target will cost jobs and investment as unemployment in Australia hit a 12-year high. Research commissioned by the Clean Energy Council shows the Renewable Energy Target will unleash $14.5 billion worth of investment and create more than 18,000 jobs, but only if it is retained in its current form. The Renewable Energy Target is a win for jobs, our economy and our climate. It should be extended and increased, not weakened. Will you stand up for renewable energy? Show your support for renewable energy, call the Prime Minister’s office now on (02) 6277 7700. What to say… You will speak to an aide. 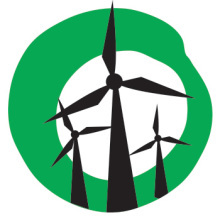 Politely tell them who you are, where you’re from, and why you support more renewable energy. Ask the aide to pass on your comments to the Prime Minister.